Be there for Wales when the Grand Slam winners seek to make rugby history. Your chance has arrived to book a seat for a feast of autumn rugby at the Millennium Stadium where you can watch Wales take on the world's best in the Dove Men Series. In a mouth-watering line-up of games Wales will face the southern hemisphere giants of Argentina, Samoa and Australia. 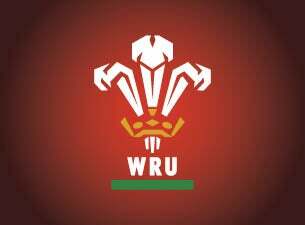 All the games are vital for Wales as they seek to secure a top IRB rating and a primary seeding for the next Rugby World Cup in 2015. The autumn series kicks off with Argentina, the team renowned for achieving major upsets in any competition they enter. Then Samoa will bring to Wales a physical presence which will ensure the Welsh tacklers will have to be at their bravest and their best. Of course Australia will be arriving in Wales shortly after welcoming the Welsh to their homeland for a summer series of three tests. The autumn game will be yet another opportunity for the Welsh players to test themselves against the opponents who will face the British and Irish Lions next year. Surely that translates as one of the most mouth-watering Autumn series line-ups Wales could have achieved this year. As Grand Slam champions the Welsh are determined to cement their reputation as the team the others have to beat. Gone are the days when southern hemisphere sides could hope for a guaranteed win when they came to the home of Welsh rugby. Our Grand Slam team now boasts amazing strength in depth with world class performers from one to fifteen in the starting line up. Just look at the number of British and Irish Lions on show with many of the players hoping to pull on the famous shirt again next summer. Also Wales now boasts an elite player pathway which ensures we are producing a conveyor belt of young talent which is the envy of the rugby world. Some positions ooze talent: just look at the options at lock where Ian Evans, Alun Wyn Jones, Bradley Davies and Luke Charteris have all featured lately. In the centre we can marvel at the likes of Jamie Roberts, Jonathan Davies, Scott Williams and James Hook. In our back three we scale the heights of talent with George North, Alex Cuthbert and Leigh Halfpenny weaving their magic in the wake left by the departure of the great Shane Williams. Anyone who wants to secure a ticket for the Millennium Stadium this autumn will have to be as fleet footed as a Welsh winger because demand is going to be high.